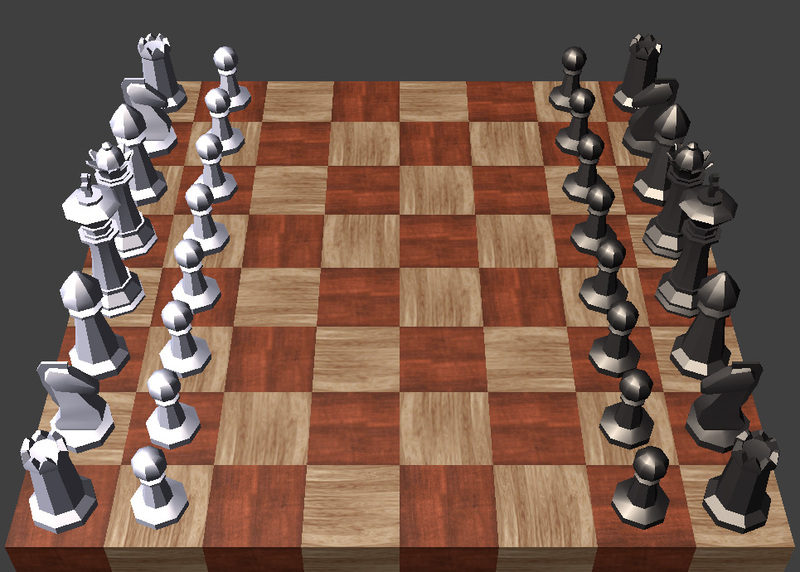 By creating a game built around chess, I have a very clear picture of what basic functionality should look like: namely, a reproduction of the game of chess. After a few days, I have just that! The models were created in a few hours in Blender, and the woodgrain-style board was directly inspired by Jeff Swenty's work as a hand-carved wooden-pixel 8-bit sculptor. 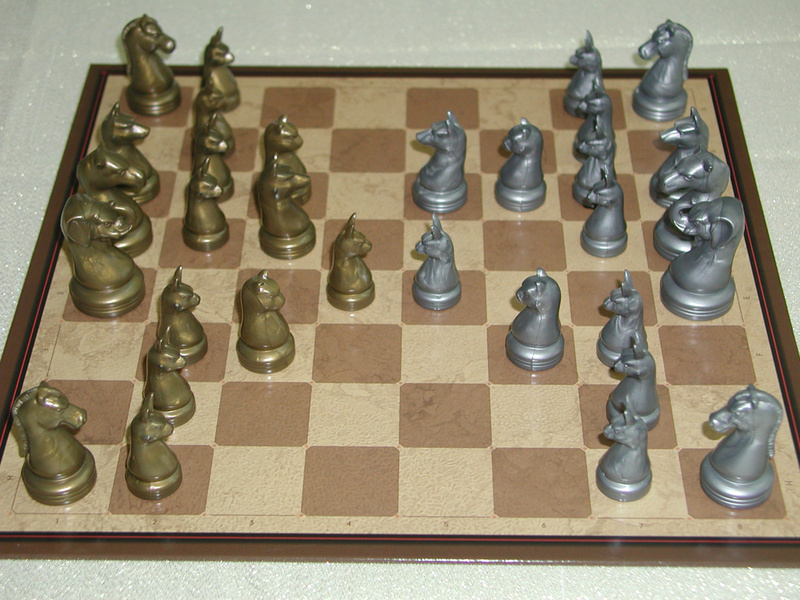 In terms of functionality, it's a two-player chess game. You can choose a piece, then move or capture according to the rules, with possible moves highlighted to make it easy on newcomers. It also hews closer to the Japanese tactical RPG interface I'm going for.